To learn more about the culture and people of Italy, courses use Rome as a classroom, incorporating field activities and excursions in Rome and throughout Italy! The Trinity program provides an outstanding educational opportunity in the heart of Rome, where glorious treasures and haunting ruins of several magnificent civilizations are stage to a vibrant, modern capital. You'll enjoy a superb location, excellent faculty, engaging small classes with stimulating fieldwork in Rome, academic excursions throughout Italy and Europe, and the city’s unparalleled lively cosmopolitan culture. Each semester this program welcomes approximately 60 participants from around the U.S., creating a close-knit, friendly academic community that fosters intellectual growth and intercultural competency. This program is an excellent fit for students studying Art History, Economics, History, International Relations, English, and Political Science. Internship Requirements: Depending on your major, there may be other requirements for the internship program. Please contact International Programs for more details. The Resident Director and members of the office staff will be on hand to meet you when you arrive at the hotel. They will facilitate getting settled and ready to begin the orientation, which will begin after lunch on the day of your arrival. Students are responsible for booking their own flights. Upon arrival Trinity staff will provide an on-site orientation including all you need to know about academics, health and safety, housing, transportation, money, and more. 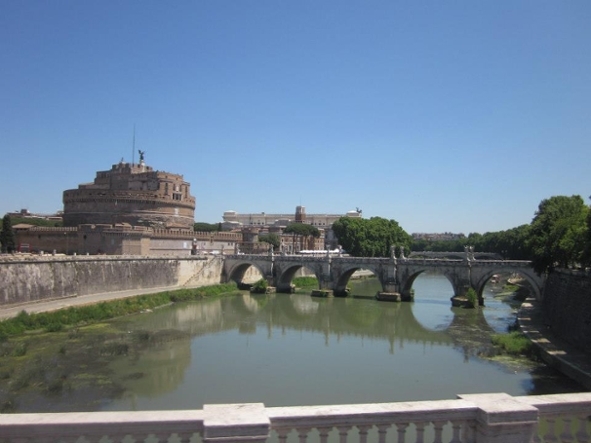 You will also be introduced to the local culture and history to make your transition into Rome easier. The orientation includes exciting activities such as: walking tours of the Aventine Hill and the adjoining neighborhoods of Testaccio, Trastevere, and central Rome. Trinity’s Rome campus is nestled among villas and gardens atop the Aventine, one of the seven hills of Ancient Rome, overlooking the Tiber River on one side and the Circus Maximus on the other. The program offers a broad liberal arts curriculum with courses taught across a range of disciplines. As often as possible, courses include site visits, walking tours and academic excursions that immerse you in this classic and stylish city. In addition to the group excursion offered each semester, students have the opportunity to participate in a variety of course-based Academic Excursions to places such as Venice, Florence, and Torino. Required Course: All students must enroll in an Italian language course. In turn, options are available at all levels of Italian (beginning, intermediate and advanced). Foreign Language Competency WARNING: Italian 101 in Rome does not fulfill the Foreign Language Competency. You cannot take Italian at Rollins, and so will have a hard time fulfilling the Foreign Language Competency if you wish to continue language study after your time in Rome. You will most likely need to fulfill that requirement with a different language taught at Rollins. Trinity Rome Courses: Including the required Italian class, you'll take 3 - 4 other classes. In addition to classes offered in Art History, PolySci, IR, etc. interested students can also study Latin and/or Greek. Please follow this link for a full list of Trinity courses. Optional Internship: Trinity can also arrange entry-level internships in an attractive mix of settings; including museums, human rights organizations, schools, government offices, and fashion. If you're interested in an internship, please contact International Programs. All students must receive pre-approval for internships PRIOR to leaving Rollins campus. Otherwise, transfer internship credit will not be approved. Number of Credits: Students must take a minimum of four courses, and most courses are worth four Rollins credit hours. Therefore, students will typically earn 16 Rollins semester hours at Trinity. However, you can take an academic course load equivalent to 22 Rollins semester hours, made up of courses with various credit hours (in some cases this means courses that grant .5 credits). Students participating on this program will need to seek the appropriate departmental approval for all major/minor requirements and approval for General Education Requirements through Student Records. All courses on this program appear on the Rollins transcript as transfer credits and the grades are factored into the Rollins GPA. Students who successfully complete this program through Rollins will receive an official transcript from the Trinity College. It can take up to 3 months to receive the official transcript. The Trinity campus is made up of 3 buildings, all within a short walk of each other. Two of the buildings contain student housing. One building is in a convent—this is where you will have your program meals and have some of your classes. This student housing is separate from the areas of the convent where the nuns live. The other building with student housing is a local hotel. Students stay in a double-occupancy room equipped with a bathroom, shower and wi fi. The housing includes linens, blankets, pillowcases and towels, which are changed weekly. You will need to complete a Rooming Questionnaire online within Trinity’s application. Regrettably, special dietary needs cannot be met and vegetarian meals are not always available. Any additional meals must be purchased at the additional expense of the student. Building bridges to the community, the Rome Campus arranges a variety of social exchanges with Italians majoring in American Studies at nearby Rome University. The program also organizes visits to major institutions in Rome and students have recently visited Il Quirinale (official presidential residence), Montecitorio (Parliament), the Vatican Gardens, and film studios at Cinecitta. Also included are outings to concerts, operas, plays, art exhibits, and sporting events. The Rome Campus offers a unique opportunity for student-athletes to join local sports clubs and leagues in Rome at appropriate levels. Opportunities include indoor soccer, field hockey, crew on the Tiber, weekend sailing at Anzio, and American baseball, softball, and football. All courses at the Rome campus include a component designed to foster cross-cultural exploration in the city at large. Activities built into each course may take the form of field work, site visits, or another activity relating to the course work. Each semester will include one excursion for the entire group (Fall will be Naples/Pompeii/Capri; Spring will be Venice). In addition, there will be two long weekend held for additional course related academic trips (if enrolled in those courses that require such excursions) or free to travel on one's own. Tuition, program administration, accommodation, complete medical and emergency insurance, orientation, program activities, and partial board.